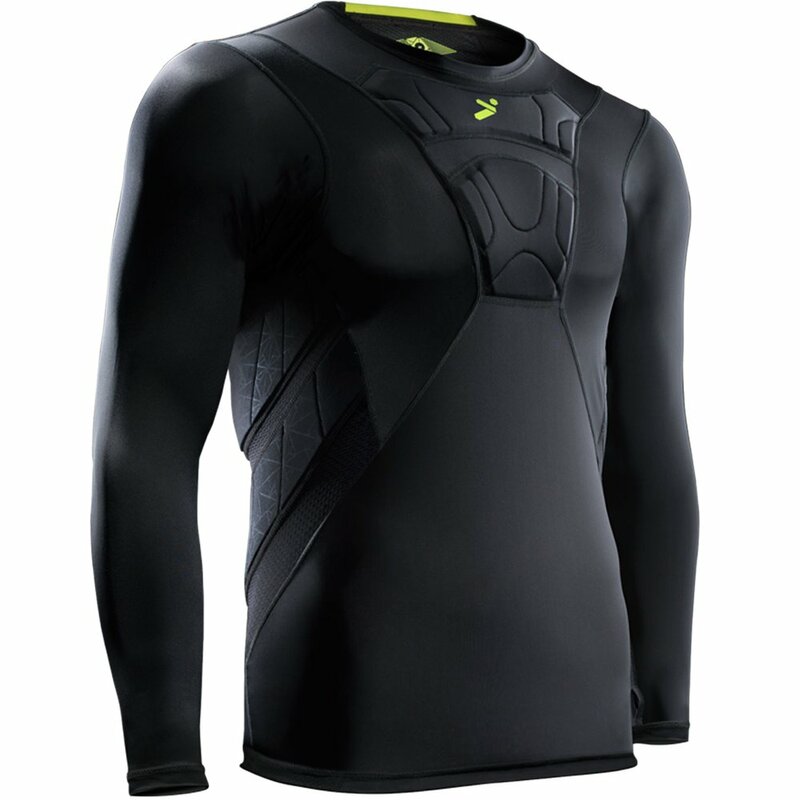 This under shirt is the ulimate, featuring innovative padding to control high passes with the chest and protect the ribs. Impact Resistant: padded chest that provides protection from passes and opponents with high-performance polyurethane foam optimized for impact absorption and comfort. Flexible: Designed for optimal movement and adaptability for field players, this shirt makes you quickly forget you are wearing extra protection.